Louis Zamperini is a World War II veteran who is searching for purpose. So far, though, he hasn’t found it. He’s mad at God. He’s also angry at his former Japanese captors, who tortured him in prison for two years and nearly killed him. Mostly, though, he’s simply bitter at his position in life. True, he did return to America alive, but that means little to Zamperini because he can’t find a job. He can’t pursue his Olympic dream, thanks to a recent injury. He’s also battling nightmares about his time in the war. Thus, Zamperini buries his emotions in alcohol, hiding it from his wife in the toilet tank and sneaking out often to bars with his friends. And now, he has hatched a plan to travel back to Japan so that he can get revenge and kill his captors. 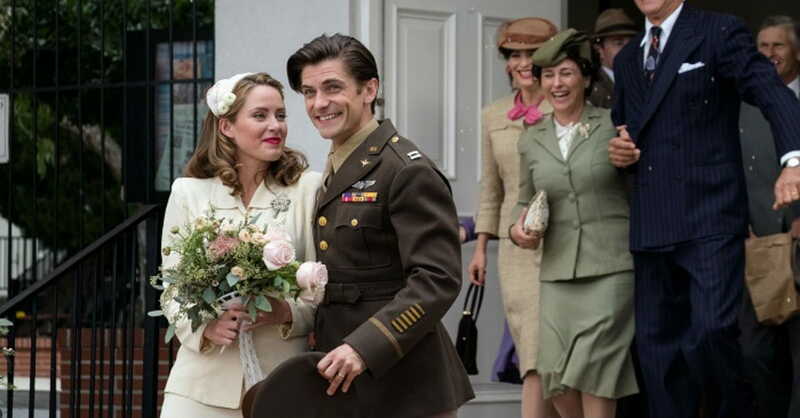 Can Louis Zamperini find redemption before he ruins his own life – and before his wife divorces him? The movie Unbroken: Path to Redemption (PG-13) opens this weekend, telling the story of how Louis Zamperini – the subject of the bestselling book, Unbroken – returned from the war an angry man until he found Christ. 1. It's the "Rest of the Story." 3. It Has Will Graham in It. 4. It Was a Turning Point for Billy Graham, Too. 5. It’s a Story Good Enough To Be Used in Classrooms. Teaching history to high school students can be difficult, but some teachers – such as Heather Fuller of Granbury High School in Texas – have used the Unbroken book to put a face on World War II. Zamperini’s story, she told a group of reporters, teaches the students “character” and “grit” and “the idea that you can have hope even in the most daunting situation.” She wrote curriculum based on Unbroken. 6. It Can Be a "Tool" for Churches. Congregations and faith-based organizations got behind movies like War Room and Courageous, and officials and even cast with Unbroken: Path to Redemption are hoping the same thing takes place with this film. “I hope that churches will use it as a tool” to “reach non-Christians” and then “plug them into the local church,” Will Graham said. Bill Reeves, president of WTA Group – a film partner – said officials behind the film wanted it to appeal to faith-based and mainstream audiences. “We've worked really hard to make sure that the book reader that may not be a person of Christian faith still loves the movie because they love the book.” Still, the movie is honest about Louis’s “relationship with Christ,” he said. 7. It May Not Be Suitable for Small Children. With themes involving torture, alcohol dependency, marital disputes and divorce, Unbroken: Path to Redemption may not be for the smallest of children. It’s rated PG-13 for thematic content and related disturbing images. It contains no coarse language or sexuality.